DENVER – Bustang®, Colorado’s first-ever state-owned and -operated interregional bus system, has exceeded ridership, revenue and fare box recovery projections during its first three years of service. 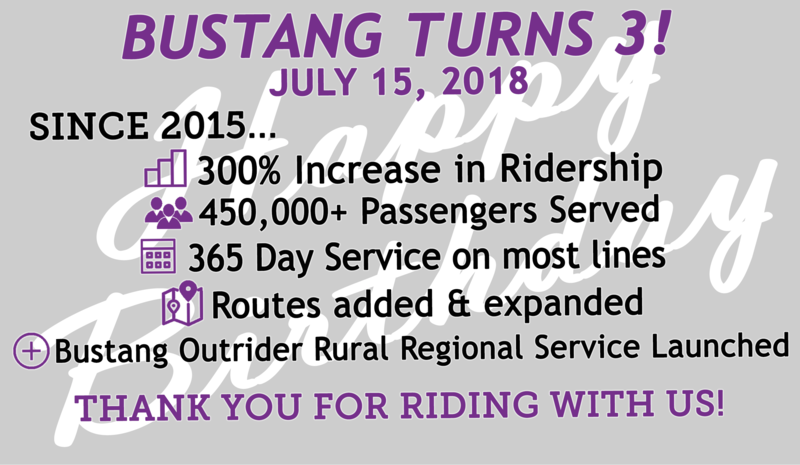 Since its inaugural run on July 13, 2015, Bustang’s ridership has increased by more than 300 percent and provided service to more than 450,000 passengers. This year, ridership is averaging 17,000 passengers per month.